The office of Doris Forman, CPA, is located in Emeryville, California, and provides reliable tax return preparation for individuals and businesses. Our office is easy to get to from most local cities, including Alameda, Berkeley, Canyon, El Sobrante, Moraga, Oakland, and San Fransisco. If you don't live nearby, we're still able to help you. 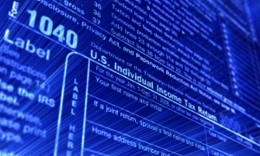 Our tax services are available to out-of-area and out-of-state clients via USPS, UPS, and FedEx. We can answer all of your questions by phone call or in person, if you're local. Why Choose Doris Forman, CPA? Call Doris Forman, CPA, at (510) 457-0651 and ask to have your free tax organizer mailed to you today!